Independent family run restaurant using seasonal, local, fresh produce. Semolina is open Tuesday to Saturday, serving monthly changing bistro menu along with delicious coffee, loose teas, fantastic wines and cocktails. One thing I have always loved about Brighton, is there is always a hidden delight to be found. 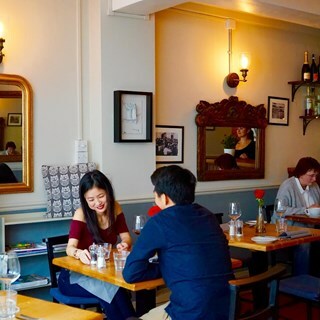 This can be anything from a small coffee shop serving the most amazing brownies, to a finding a restaurant serving an authentic and most favourite dish from your travels. In this case, the hidden delight is a small, independent cafe/bistro tucked away on Baker Street just off London Road. Semolina is owned by the friendly husband and wife Linda and Orson Whitfield who are passionate about using locally sourced ingredients in a simple way, to make delicious and fuss free food. Everything they serve is homemade, including bread, pasta, ice cream, and are served up in a way that you can dine in for a casual lunch/evening, or a special occasion meal. Delicious food and great chocolate mistress to finish! First visit to Semolina. Loved the intimate, unpretentious vibe. The service was faultless and the food delicious. Will definitely be back. A lovely treat. Beautiful food, great menu & in an unassuming venue, tucked away. Great value for money too! Excellent food, wine and service. Highly recommend! A great combination of good quality and varied food with a warm atmosphere. The customer service was good being attentive / caring but also offering good advice. Thank you for the service and to the wonderful chefs. Although the booking system does not always work perfectly, the food and drink is always first rate. It's a great pleasure to enjoy such high quality. Fantastic meal as always. Excellent wines and friendly service. We will be back. Just wonderful - lovely flavours and very good value for money. Altogether a very good dining experience. The perfect evening celebrating our anniversary, difficult to find a restaurant in Brighton that has such a romantic atmosphere and equally good food! 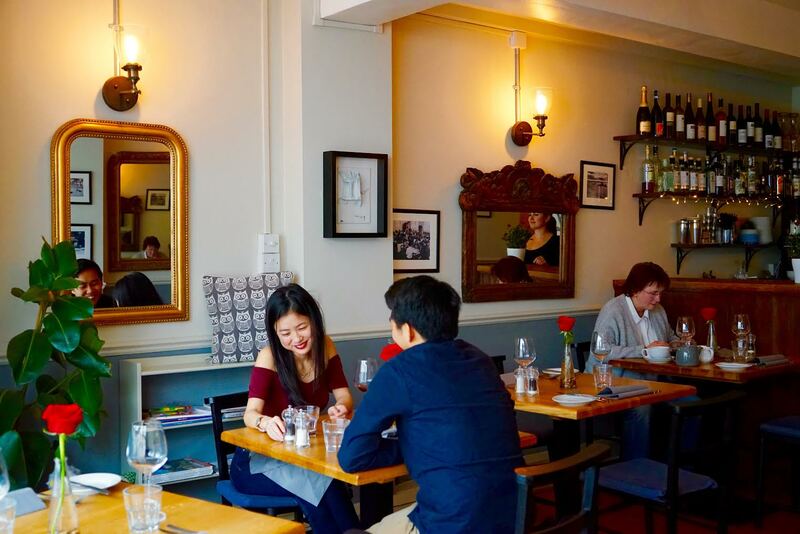 As it's rather a small restaurant it would be helpful if you could ask any group of Diners who may be present not to speak together loudly or to advise people who may be thinking of booking that a group will be present as well. Had a fantastic meal at Semolina Friday night, wonderful food that was well balanced and really well cooked without being overpriced or gimmicky. The service was slick but very friendly. Would certainly love to come back here. Another delicious meal! Very pleasant, quiet ambiance- we ate very early in the evening. Service as ever friendly, pleasant, not rushed but very efficient. Have eaten at Semolina a few times and it has been constantly excellent. Service is friendly and efficient and the food is delicious. Outstanding as ever. Many visits and I have never been disappointed. Brilliant restaurant, the food is always fantastic! Staff are very attentive and I can’t wait to go back. Without a doubt the best dinner I've had in a very long time! Everything is  was absoluty perfect.